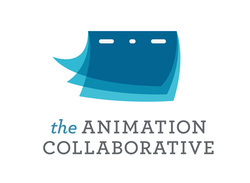 If you follow animation blogs like mine then you may have heard about the Animation Collaborative, which is a new workshop for animators and artists. It's conveniently located right across the street from Pixar. I will be teaching there starting in the Fall, so if you're interested in joining me for a class then check the availability on there web site. No, I'm not leaving AnimationMentor.com, I'm just mixing it up a little bit. AnimC (as we call it for short) is having an open house tonight at 6pm, so if you're in the neighborhood swing by, check out the space, and meet some cool people! I'm a student attending this fall. I can't wait to meet you and all the other fantastic artists teaching at the animation collaborative. I'll be bringing my best foot forward and soaking every bit of knowledge up like a sponge.